very few people devote their entire lives to such study, and so God made it very clear and very simple: “Thou shall not kill.” What does God teach us in the commandments? First, we learn of the absolute necessity of loving God first in our lives. After listing the Ten Commandments, the author of the Book of Deuteronomy teaches: “The Lord is our God, the Lord alone. Therefore, you shall love the Lord, our God, with all your heart and with all your soul and with all your strength” (Deuteronomy 6:4-5). Jesus calls this “the greatest and first commandment” (Matthew 22:38). In the same place we also learn that serving God requires respect in deeds, thoughts and words for one’s neighbor. We are to honor our parents through whom we have life. We must reverence human life in ourselves and in others. We are to respect all sexual relations, for it is within marriage alone that life is to be transmitted. We are called to respect property, which is to be used in the service of persons. And we must always tell the truth about others. The Decalogue reveals that certain acts and even, as the last two commandments express, the inner disposition to such behavior, are incompatible with love of God and respect for neighbor. Such actions are always wrong. What the Ten Commandments make clear in concise, clear and unequivocal language is that one who claims to be a friend of God must act accordingly. beginning and end of his commandments: ‘I am the Lord’ (Roman Catechism, III). There are many ways that we can violate this first and fundamental commandment. The simplest sin against the First Commandment is the rejection of God. Ultimately, this is a sin of pride that finds its roots in humanity’s first struggle to accept God’s dominion over us. We are often tempted to put ourselves in God’s place. Sins of superstition and sacrilege are also directly opposed to true worship of God. In superstition one seriously attributes to created persons or things powers to shape events or to foresee the future that are proper to God alone. Sacrilege is a mistreatment of what is sacred, of persons or things consecrated to divine worship. An especially serious sin is the sacrilegious reception of sacraments, approaching those sacraments that signify and require love of God in one’s heart, such as in the Eucharist, confirmation, orders or matrimony, when one has committed grave sin and has not repented. The First Commandment teaches us that God is not only our beginning but also our final and lasting goal, for God moves and stirs the deepest longings and aspirations in each of us. When we live according to the commandments, we return our love to God in a way that manifests the sincerity in our hearts. As our Lord said: “If you love me...obey the commands I give you” (John 14:15). toward it. For the Eucharist contains the Church’s entire spiritual wealth, that is, Christ himself, our Passover and Living Bread. In his very flesh Christ offers new life to us through the power of the Holy Spirit. We are thereby invited to offer ourselves, our labors and all that we have to God through union with Christ in the celebration of the Eucharist. Sunday becomes a moment of spiritual and personal renewal for us individually but also as a community as we gather to celebrate the Eucharist in union with the whole Church throughout the world. We are told in the Book of Genesis that God rested on the seventh day from all the work he had done (Genesis 2:2). Like God, we too should follow a sequence of work and rest. On Sundays and other holy days of obligation the faithful are to abstain from any work or effort that inhibits the worship due to God, the joy proper to the Lord’s Day, works of mercy and relaxation of mind and body. The Catechism of the Catholic Church reminds us that the family’s needs or important social service that should be given are legitimate excuses from the obligation of the Lord’s Day rest, but these responsibilities and duties must not be allowed to become so habitual that our religious practice, family life and even our health eventually suffer (cf. 2185). Finally, we are reminded that while engaging in leisure activities, Christians should not forget their sisters and brothers who have the same needs and rights and yet cannot enjoy rest and renewal because of poverty. Sunday is traditionally consecrated to good works and service of the sick, infirmed and elderly. By such action on behalf of those in need we actively strive to sanctify the Lord’s Day and to make it a time of true blessing for ourselves and others. 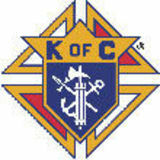 that it possesses by nature and grace, and in the mission that God has entrusted to it” (FC 86). Families that are victims of economic change or long-standing social injustices must often struggle for their very existence in intolerable living conditions in crowded urban centers. Those that belong to racial minorities or to immigrant groups often find it especially difficult to claim their legitimate social rights. Even when problems are so great that social, political and economic changes are urgently needed, those measures are not taken unless concerned persons press for effective social action. Christians should cooperate with others of good will to ensure that governmental policies address these needs, including in a special way the needs of the elderly, our “parents.” The Fourth Commandment also highlights the obligations we all have to strengthen the family ties that grow out of our bonding with our parents. The gift of life, our growth into our own adulthood, and the ever-present spiritual, emotional and moral support of our parents, are threads woven into the fabric of our life to such a degree that should they be weakened, our own lives unravel. This commandment is not an arbitrary whim of a capricious God. “Honor your father and your mother” is an injunction that speaks to the very core of human society. As a people, community and nation we can only be as strong, healthy and vital as our families. And our families can only be as vibrant and life-giving as the level of care and respect that we offer to each other beginning with the honor we give to our parents. 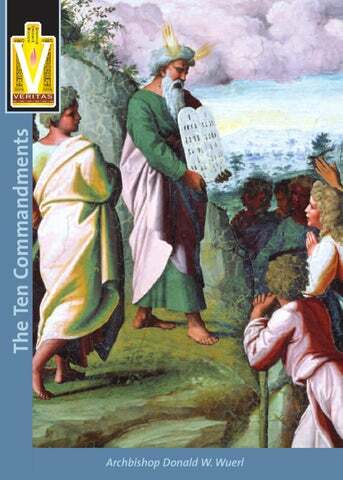 The Seventh Commandment obligates us to respect God’s creation. As the Catechism of the Catholic Church points out, animals, plants and inanimate beings are intended for the common good, past, present and future (cf. 2415). Our use of the mineral, vegetable and animal resources of the world must respect its moral dimension. Our dominion over inanimate and living beings that comes from God their creator is not an absolute power. It must be tempered by concern for the quality of life of our neighbor, including generations yet to come, and calls for a religious respect for the integrity of God’s creation. The same commandment that demands respect for the property of others also challenges us to respect the dignity of human work because it shares in God’s work of creation by exercising responsibility for the earth through human labor. Everyone has the right to use their talents in a correct way and thus to contribute to their own good and the common good. This right carries with it a concomitant obligation: We are all to contribute to the common good. Business leaders are responsible for the economic and ecological efforts of their companies. Laborers are entitled to a just wage and society must work to provide access to jobs and develop a social system that provides some form of social security. The Seventh Commandment clearly calls us to the practice of justice and love in caring for all of God’s creation and to a profound respect for the fruits of human initiative and human labor. It is a commandment that reminds us of our social, cultural and economic interdependence and challenges us to live out God’s plan in such a way that the human family will live together in peace, justice and harmony. against being overwhelmed by the desires of the flesh or any other disordered human appetite. Hence the Church challenges us to accept chastity as a virtue and a gift and calls us to purity of mind, heart and action. The same Christian sensitivity calls us to modesty that protects the mystery of persons and their love and invites patience and moderation in a loving relationship. Decency is another name for modesty. It is basic human decency that frees us from the overwhelming preoccupation of our society and its culture with eroticism and its companion vice of voyeurism. Christian purity calls us also to purify the social climate and places obligations on the communications media to demonstrate a respect and restraint in the information that they disseminate. The Ninth Commandment is a reminder that Christ’s redemption and our conversion is working its way out slowly in our lives. Much of us still need to be redeemed and washed white in the blood of Christ’s sacrifice. Not just our actions, but our intentions, our motives and our hearts need to be washed clean every day in the blood of Christ’s loving sacrifice. the commandments and elevates them to the highest possible level: the level of love. Some years ago there was a song that had as its refrain “You can’t go to jail for what you’re thinking.” Perhaps not, but one can easily go to hell for what one thinks in preferring evil to goodness. The Tenth Commandment challenges us to change our lives so completely that we manifest the presence of Christ in our hearts and minds, as well as in our lives and actions. recognize and worship God the creator. Conscience is the immediate practical moral judgment that we make about good or evil, the rightness or wrongness of a specific action we are about to take. If that judgment flows from the law written on our hearts and made explicit in the Decalogue, it will be the work of a correct, upright and true conscience and our action or thought will be truly good. It is not always easy to live a good life. Moral judgments are not easily made without the grace of God. That is why in addition to our acquired knowledge and our sincere efforts to form a right conscience we need also to pray. We need to pray daily for God’s grace, strength and loving guidance so that we will always have the courage not only to know but also to live the wisdom contained in God’s word and God’s plan: the Ten Commandments in our lives. Archbishop Donald W. Wuerl is the diocesan ordinary of the Archdiocese of Washington. He was born in Pittsburgh November 12, 1940. After gaining bachelor’s and master’s degrees in philosophy at The Catholic University of America in Washington, D.C., he went to Rome to complete his seminary training at the Pontifical North American College, where he was ordained a priest December 17, 1966. He earned his doctorate in theology at Rome’s Pontifical University of St. Thomas Aquinas, more commonly known as the Angelicum. He taught theology there from 1975-79 and was one of the chief editors of The Teaching of Christ, a three-year project by a team of theologians to produce a comprehensive adult catechism. In 1985, Pope John Paul II named him auxiliary bishop of Seattle. In 1988 he was named bishop of the Diocese of Pittsburgh, where he served for 18 years. On May 16, 2006, Pope Benedict XVI appointed him as the sixth Archbishop of Washington.